Now you can this great synth for your iPhone! 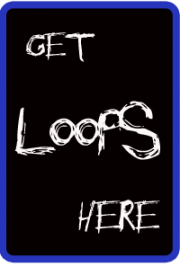 This is a personal favorite of ours here at iPadLoops. A detailed review is in the works. Stay tuned! The ELECTRONIC PIANO SYNTHESIZER XS (EPS XS) is the world first piano synthesizer for the iPhone and iPod Touch. Based on a 32-bit realtime sound engine the sounds are computed on the fly and no samples are used. Works on iPhone 4/4S and iPod Touch 4. Generation. Will work limited on iPhone 3GS with only 4 voices and slow GUI but with MIDI. Electronic Piano Synthesizer is available for $0.99 for a limited time.